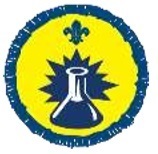 The Beavers who meet of Wednesday evenings worked on their Experiment Badge in the Spring. We started by looking at what makes plants grow by doing experiments with cress. We also attempted to make rockets using vinegar and baking soda whilst we didn’t get the height we wanted they were still fun. For this badge we also looked at static electricity which resulted in some wild hair styles and we wrote secret messages using invisible ink (Lemon Juice).